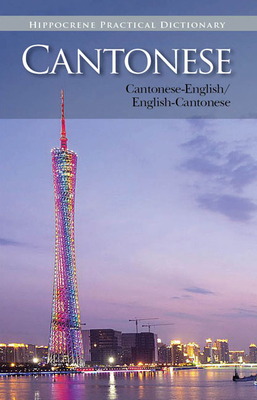 A comprehensive, up-to-date Cantonese reference for students and travelers from a trusted name in foreign language study. Spoken by nearly 60 million people, Cantonese rivals Mandarin as the lingua franca of both south China and of the worldwide Chinese diaspora population. Unique among all the Chinese dialects, Cantonese also has a writing system that is distinct from Mandarin Chinese and makes use of characters generally not understood by non-Cantonese speakers. The Cantonese Practical Dictionary includes over 14,000 entries, providing students and travelers with a portable, yet comprehensive resource for everyday use. Cantonese is an official language of Hong Kong and Macau, and written Cantonese is commonly found on street signs in Hong Kong as well as in newspapers and novels. The spoken language also exerts a strong cultural influence on East Asia, due to the prominence of Hong Kong's film and music industries. This is also a useful guide for Cantonese heritage speakers, or as English-Cantonese resource for ESL students.